Good Guys Signs wants to show you what a quality graphics company can do for you. Whether you need a 3’ x 8’ custom banner for your small business or church, or a dozen 10’ by 20’ banners for a big product launch, you’ve come to the right place. From gloss to mesh to canvas, and everything in between, we’ve made it, and we will proudly make you look great. Real value. We’re no banner mill, each banner is made in high resolution and quick. High quality at a low price. Real Value. Gloss vinyl is the old standby. 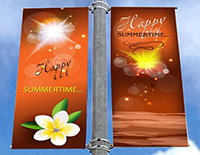 A shiny look, gloss banners are great for outdoor use. 13 oz. standard. 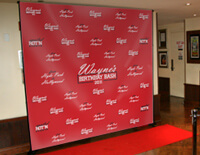 Hollywood, aka Step and Repeat Banners make your event truly special. Add A Red Carpet for Glamour (if space permits). Pricing Below. Professionally Designed. 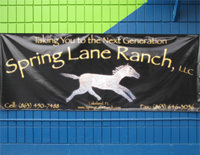 Mesh banners are an excellent choice for outdoor use. 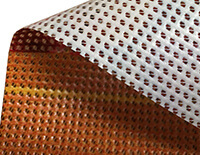 Fine Mesh for high image quality seen up close, medium mesh for outdoor longevity. Let us print you something big! We have the equipment and experience to deliver quality and a low price. Depending on your needs, our huge banners can be regular or mesh. Call or Email for a Custom Quote. 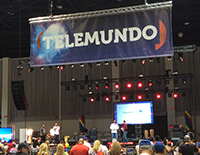 2-Sided banners are custom quoted. We have low prices, and a variety of ways to do this. Let us guide you to the right product at the right price. 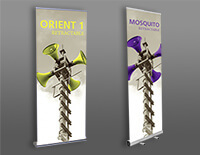 Occasional use stands to industrial strength, we have a wide assortment of stands and banner materials. We’ll help you match the right stand to your needs and budget. 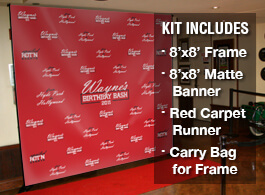 Hollywood, aka Step and Repeat Banners, give any occasion a special feel. With our experience and fantastic designers, you’ll look great and be proud.